A lot of people have been over in Ireland travelling the “Wild Atlantic Way” but there is another route well worth seeing. Arrive in Dublin and stay for two nights at the five star Westbury Hotel. Do not miss sights such as Temple Bar , Guinness Storehouse , Book Of Kells , and Christchurch Cathedral. Meet your driver/guide and visit the world famous gardens at Powerscourt House. Stay for two nights at the five star Powerscourt Hotel. 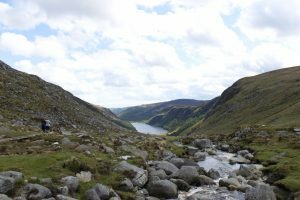 Visit Glendalough set in a Glacial Valley. The 6th Century monastery is simply fantastic. The scenery is breath taking. Stop and see Wicklow and the Vale of Avoca on the way to stay at the luxurious Marlfield Manor House , Gorey. Many famous celebrities have stayed there in the historical bedrooms. Drive across to Kilkenny and visit the castle and St Canice’s Cathedral. Travel South visiting Cobh (the final port from which the Titanic left on her fateful voyage). The museum is worth a visit. There is also a visit to the Waterford factory. Then on to the coastal village of Kinsale for two nights on the waterfront at Actons hotel. See Charles fort and Desmond castle and enjoy walking around steeped in the history. Travel to the Grand Hotel in the village of Malahide for one night. Visit the Rock of Cashel on the way. Take a walk around Malahide castle.